Teenage thrill seekers have filmed themselves climbing to the top of Canary Wharf’s One Canada Square, a 770 foot skyscraper, raising questions about security at the famous landmark. 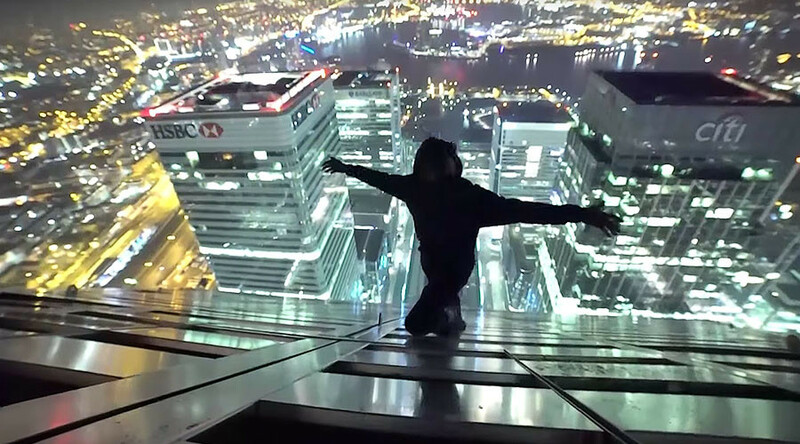 Filming a stunt for Night Scape, their YouTube channel, the pair managed to get past security guards and scale the pyramid on top of London’s second-tallest building. Speaking before the climb, the cameraman, says: “We’re here on a bit of a whim today, we have a little challenge that we want to try and do. It’s a long shot, and by long shot I mean this is almost impossible to do. The pair loiter around the lobby before one manages to slip over the barriers, while the other is caught. However, the partners soon find each other again as they meet on the first fire escape staircase. They climb 50 floors and find the doors to the roof unlocked. They then climb a ladder to reach the famous pyramid, before filming themselves hanging off it and even touching the tip, with a nighttime view of London visible in the background. The 10-minute clip was posted to YouTube on Monday. One Canada Square was the tallest building in the UK from 1990 to 2010, until it was surpassed by The Shard in 2012. Questions are being asked about how the two could so easily bypass security at one of the capital’s best-known buildings with rucksacks, seeing as London is on high alert for terror attacks. 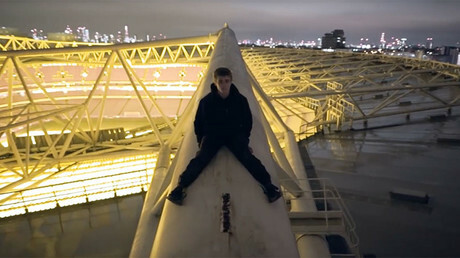 Night Scape regularly scale buildings around London and film it for their YouTube channel. They have previously broken into West Ham’s new London stadium, the former Olympic stadium.